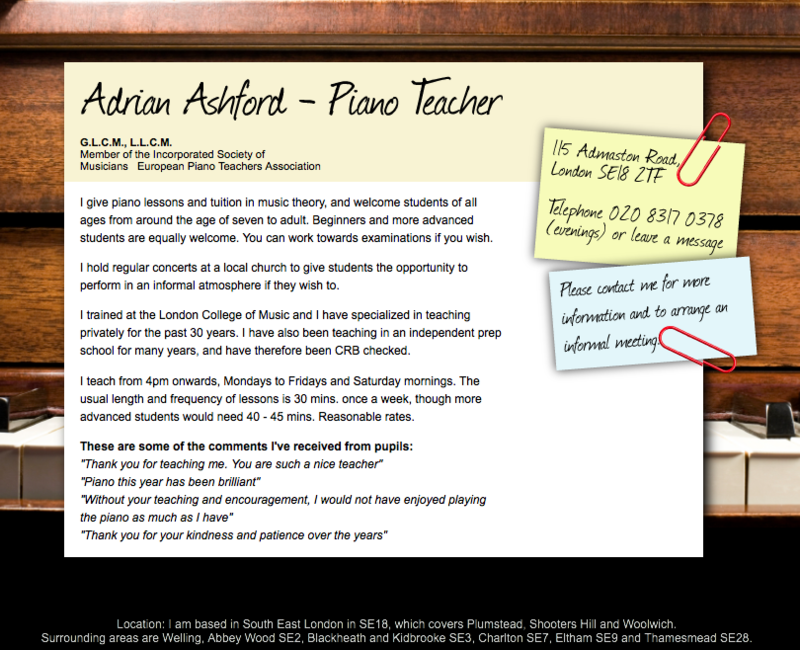 Adrian Ashford is a traditional piano teacher who takes on individual students, but realised that a web presence would help him to reach potential local clients. The site was designed to reflect his style and encourage viewers to get in touch. The site is a single page, as there is no need to list “services” or prices. Choosing a piano teacher requires a much more personal touch. There is no email address or contact page, because that’s just not how Adrian operates. Instead, a hand written post-it note gives his phone number and lets them know to call in the evening or leave a message during the day.